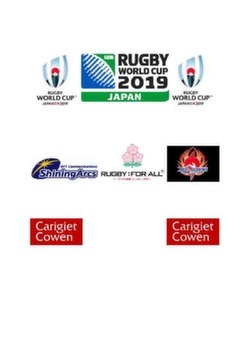 Congratulations to Carigiet Cowen’s Retail Specialist & Associate Director Ben Blain who is continuing his progression up the rugby union refereeing hierarchy. Ben is taking part in a refereeing exchange to Japan ahead of next year’s Rugby World Cup, which will be hosted in 12 locations across Japan. Ben will be taking charge of a couple of top flight Japanese league games. His first game is NTT Shining Arcs v Hino Red Dolphins. Then he heads west from Tokyo to handle a contest between Matsuda Motors and NTT Docomo – good luck from the team at Carigiet Cowen. Ben will be returning to Carlisle via Paris where he is taking part in an EPCR training camp ahead of making his refereeing debut in the European Challenge Cup competition, Rugby’s equivalent of the Europa League. Exciting times ahead for the surveyor who has just completed a commercial property letting which will bring BrewDog to Carlisle as part of his other job !